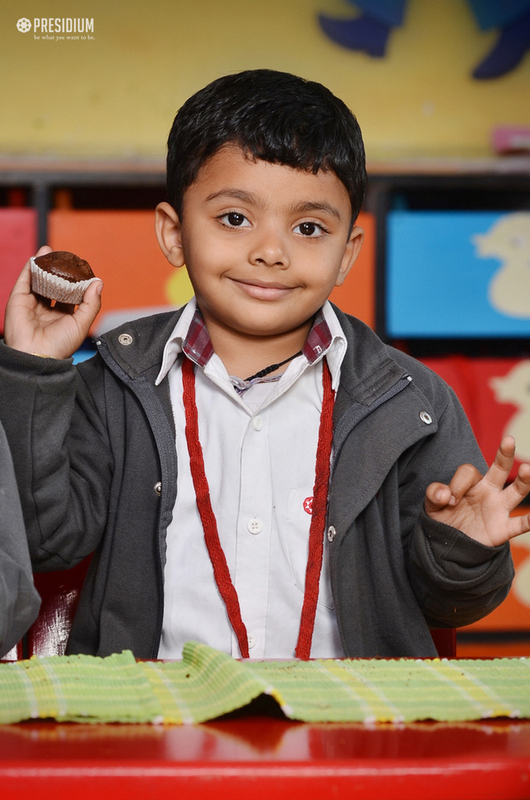 Little Presidians of grades nursery to 2 celebrated ‘Chocolate Muffin Day’ at Presidium, Faridabad recently. 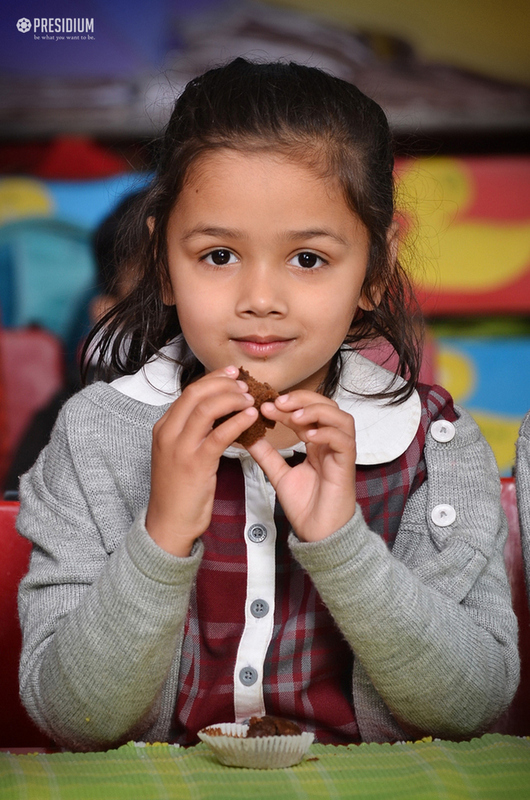 The kids had a great time at the feast and treat, where they enjoyed their favorite chocolate muffin snacks. 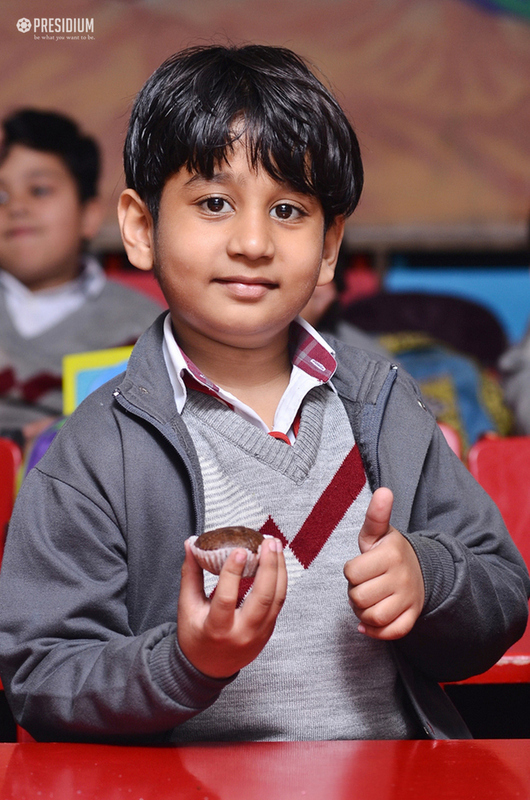 Along with the goodies, they were educated about the muffin recipes and how heat changes batter from liquid to solid. 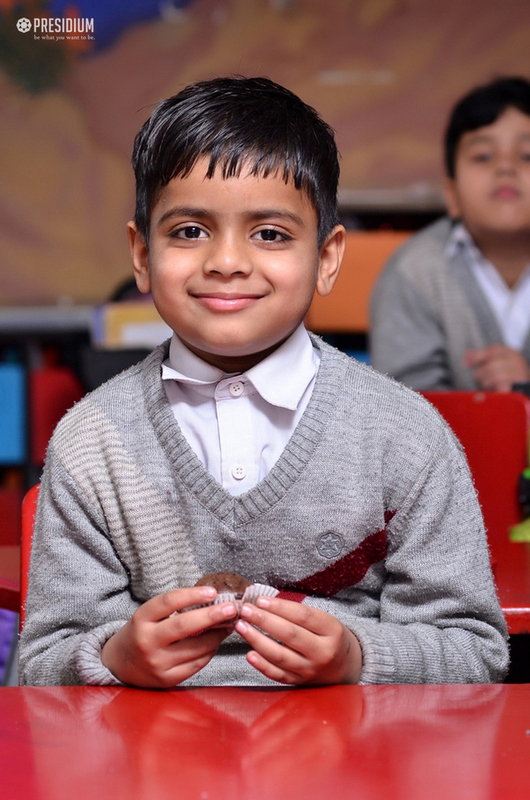 The kids really enjoyed learning this yummy lesson through experiential learning. 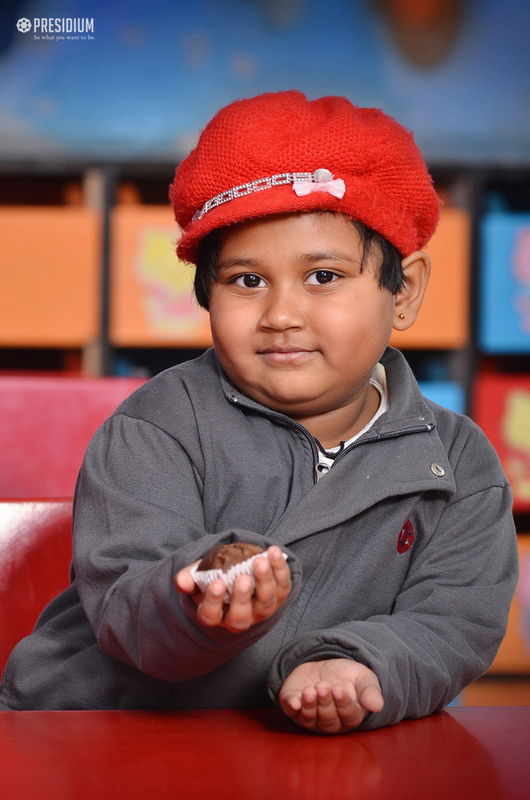 Also, they were enquired about different types of muffins available in the market. 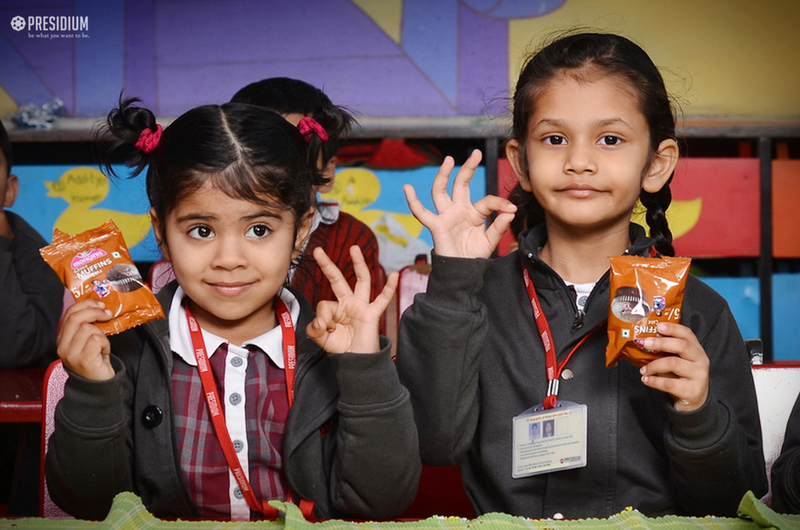 Overall, it was a wonderful treat and innovative learning method for the little ones.